What’s funny about this list is that I’m sure the items on there are on there for a reason. Some genius student probably tried to cheat somehow by using costume jewelry and got caught. Given the ridiculous amount of information that you have to know for this test, I’m not even sure how you would cheat on it though. I guess rather than actually study there might be people out there that will use the two months leading up to the bar to figure out how to print 1000 pages of material on the back of a Dr. Pepper label. Anyway, so I decided to make these no-bake energy bars that are packed with peanut butter, nuts, coconut, and oats. For people that aren’t cheating, you’ll need some good brain food! Homemade energy bars with nuts, coconut, oats, peanut butter, coffee, and a touch of chocolate. These energy bars are quick to make and great for a snack. 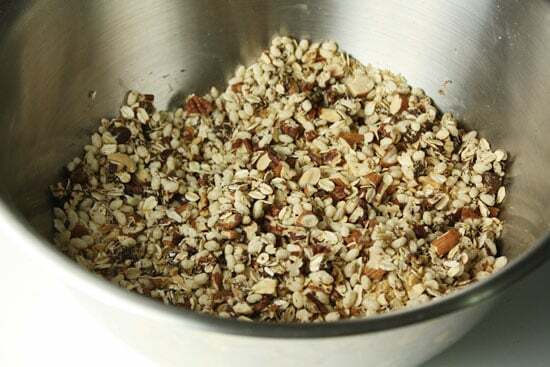 1) Roughly chop the pecans and almonds and toast them, along with the coconut, in a 350 degree oven for about 8 minutes. Toss the mixture a few times throughout just to make sure they aren’t burning. The coconut should be a light tan color when it’s done. 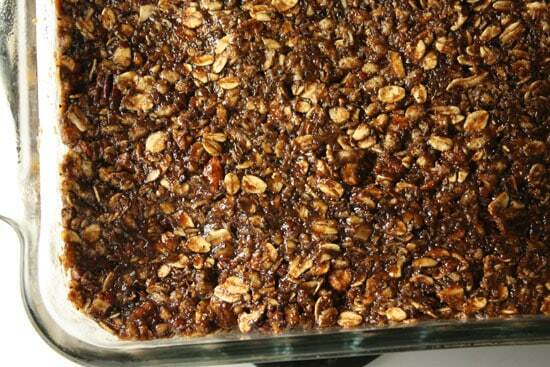 2) Once all of that is toasted, mix it with the oats, cereal, and chocolate if you’re using it. 3) Meanwhile, in a small saucepan, mix the peanut butter, water, coffee, vanilla, sugar, and salt and stir over low heat until the sugar is melted and everything is combined, about 3 minutes. 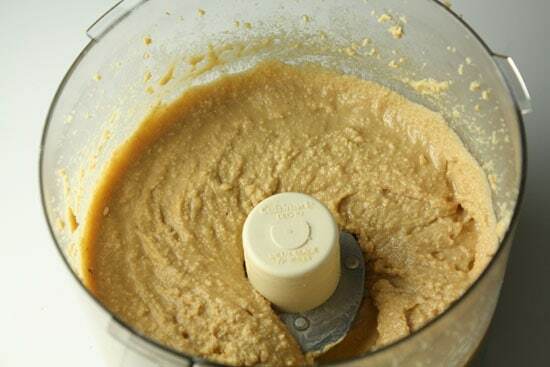 4) Let the peanut butter mixture cool for a second and then pour it over the dry stuff. Stir everything together. 5) Pour the bar mix into a lightly greased (I used a non-stick spray) or lightly buttered 9×9 baking dish. You could use a 9×13 pan if you want thinner bars. Press them down to an even layer and let them chill in the fridge for a few hours. 6) Cut them up and serve! Adapted from a 101 Cookbooks recipe. These are no-bake bars, so there’s not a huge amount of prep to them honestly. Even though they are no-bake, you still want to toast the nuts and coconut though. It’ll add a lot of flavor to the final product. 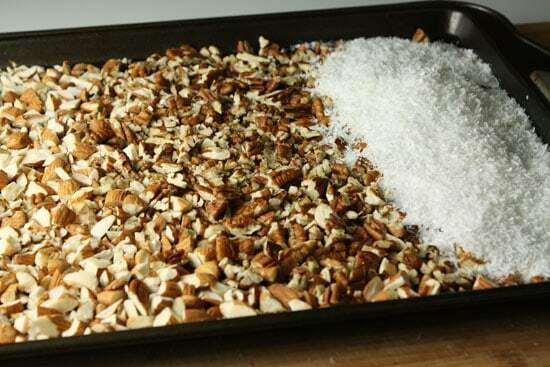 Just roughly chop the pecans and almonds and spread them and the coconut out on a baking sheet. Bake this sheet of deliciousness at 350 degrees for 7-10 minutes. Stir it up once or twice during that time just to make sure the coconut isn’t burning. You’re looking for a lightly tan color on the coconut. When your coconut is done, everything is done. This was my finished sheet. After 10 minutes and a few mixes. 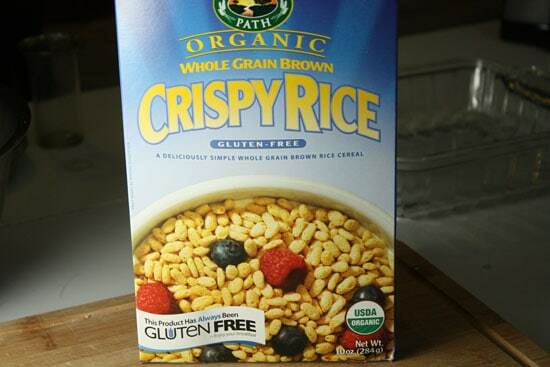 The recipe I was sort of going off of, although I changed a lot of stuff, called for crispy brown rice cereal. I’d never even heard of this. But I found some! At least I think this is the right stuff. After inspecting it closely, I’m fairly certain that you could use Rice Krispies, but these are somewhat healthier for you. The texture seemed to be about the same to me though. Any rice cereal will do the trick. 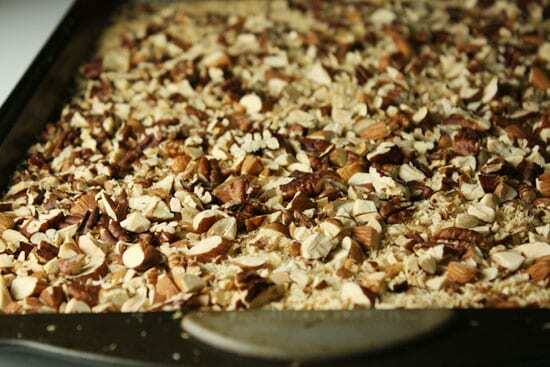 Once your nuts and coconut are done toasting, mix the oats, cereal, chocolate, and toasted things in a large bowl! The only thing that Betsy requested in these energy bars was peanut butter so I made sure to include a lot of that. I’ve been on a homemade peanut butter kick lately so I just whipped up a batch. Obviously, you can use anything you can buy in the store also. 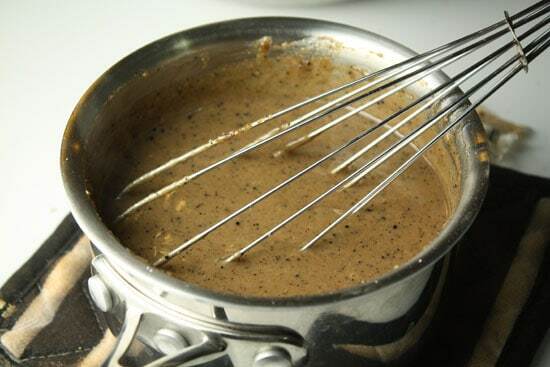 In a small saucepan, mix your peanut butter, water, coffee, vanilla, salt, and sugar and bring it to a simmer. It turns into a kind of peanut, coffee, vanilla, syrup situation that is pretty out of this world. This will only need to simmer for a minute or two. You just want to make sure everything is well-combined and the sugar is melted. Then pour the peanut butter mixture over the dry ingredients and stir everything together really well. Lightly grease a 9×9 baking pan (I used non-stick spray) and pour all the bar mixture into the pan and press it down to an even layer. They should be pretty thick. If you wanted them thinner, you could use a 9×13 inch pan. If you don’t mind room temperature bars, these are good to go now! They’ll be best if you let them chill for a few hours in the fridge. The nice thing about these is that they don’t need to be refrigerated really. There’s not anything perishable in them so they can sit out for a few days without a problem. They might get a bit gooey, but gooey can be delicious. 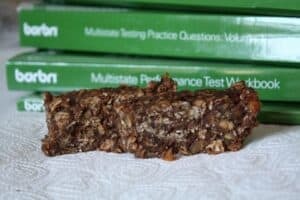 But the most important thing about these energy bars is that they’re packed with lots of stuff that’ll help your brain recover from hard multiple choice questions and essays! I'm going to make these and eat them for breakfast instead of store bought bars. This looks like a great recipe! Wish I had something like these back in 1980 when I took the Washington Bar Exam! Mmm…those look mega-good. I don't suppose you know what the protein in these would be? I'm entering my 3 trimester and the Dr is saying I need to up my protein. I know granola's a pretty good snack so I'm hoping these are up there too, hardboiled eggs only get you so far. I need a chewy chocolately snack!! I'm not positive on the exact amount, but there's lots of nuts which are pretty high in protein. I thought about adding some soy protein to these, but decided against it. I think you could without too much of a problem though. These look awsome! Wish I had the time to bake and send these to my daughter whose headed to the NY Bar. Good luck to everyone! These look great! I am very, very tempted to give up on my last minute cramming to make a batch. I love me some Trader Jose. Not so crazy about Trader Joes though.